CONTACT OUR SALES TEAM TODAY for a quote. Since 1966, Melling Industries, Inc. has provided precision-turned parts to our customers both large & small, across the globe. Over the past few decades, our manufacturing facility has combined its previous entities, Kabenung & Prescott Industries, to form one workforce, known as Melling Industries, Inc. Bringing all three locations together, we’ve merged our team of skills, expertise, and management, all under our 42,000 square foot location in Jackson, MI. Our non-union team of experts working together creates not only the best products, it also allows us to broaden our customer base, and improves customer communications from the quoting process to delivery. 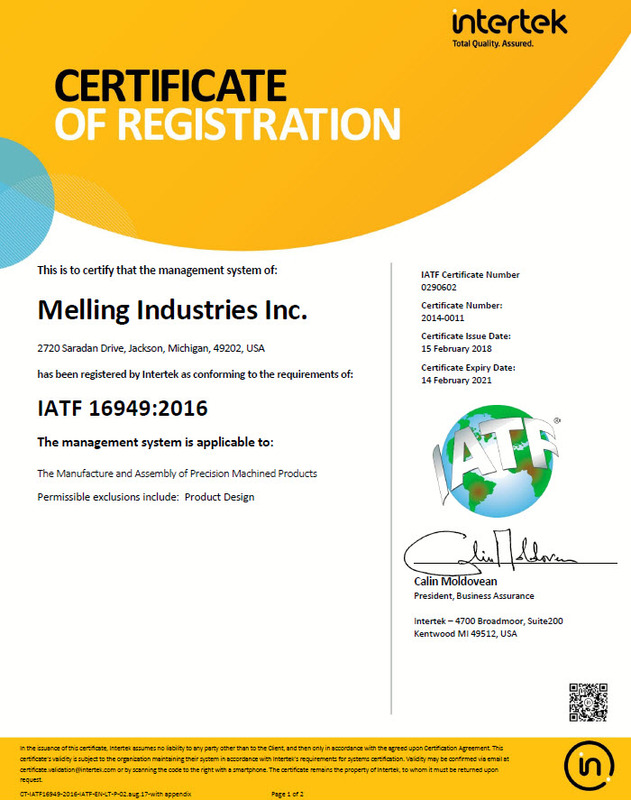 We welcome you to Melling Industries, Inc., and thank you for choosing us. We look forward to partnering with you! 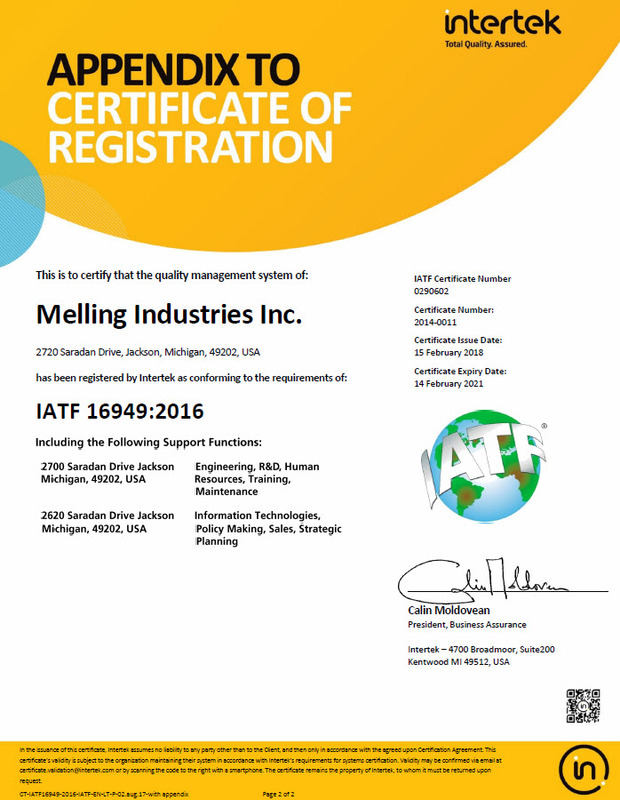 Melling Tool Company is a leading manufacturer of fluid pumps including oil, water and fuel pumps for gas, diesel, transmission and hybrid applications as well as other powertrain components to the worldwide transportation industry. Melling serves the global transportation original equipment and aftermarket segments and is noted for its world class engineering, product development and distribution capabilities. Melling operates ten (10) facilities in North America and Brazil. Melling Tool Company is the parent company of Melling Industries and several other divisions, including Melling Products, Melling Select Performance, Melling World Trade, AC Foundry, Rexite, and more.